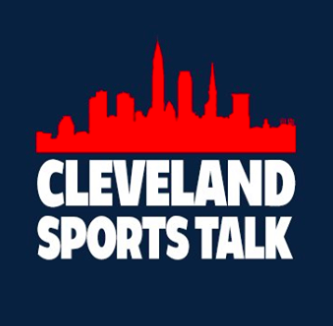 Although it’s only April, there’s a palpable buzz surrounding the Cleveland Browns heading into the 2019 season. 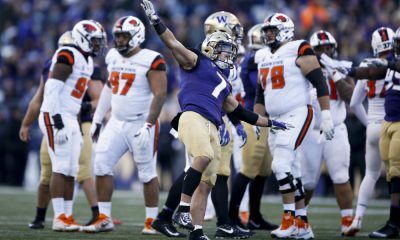 The team’s remarkable seven-plus-win turnaround last season, following the 1-31 disaster encompassing 2016 and 2017, was enough to catch the attention of the national media. 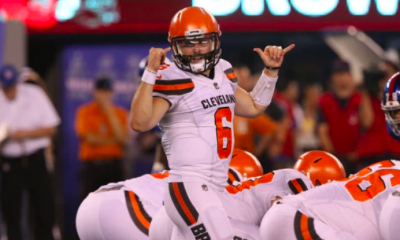 Rookie Baker Mayfield came in and electrified the team and changed the culture in the Browns organization for the better. The swagger with which he played—including the swagger that caused him to toy with former head coach Hue Jackson both times Cleveland played Jackson’s new team, the Bengals—infected all of us. 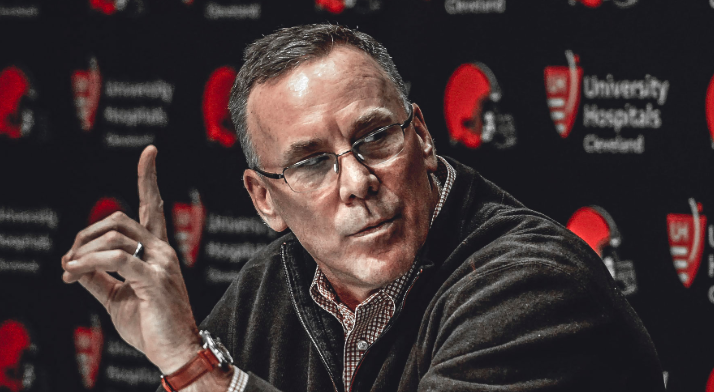 John Dorsey’s arrival on the shores of Lake Erie added to the excitement, as he traded for key players in the team’s starting lineup and began rotating people out from the old regime in favor of new acquisitions who could reinvigorate a franchise that had been the laughing stock of the NFL for nearly 20 years. And while 2018 was awesome, and we had a ton of fun watching our boys pull out those amazing victories, in retrospect, last year was only the tip of the iceberg. When future generations look back on this era of Browns history, they’ll understand that this truly was the beginning of it all. 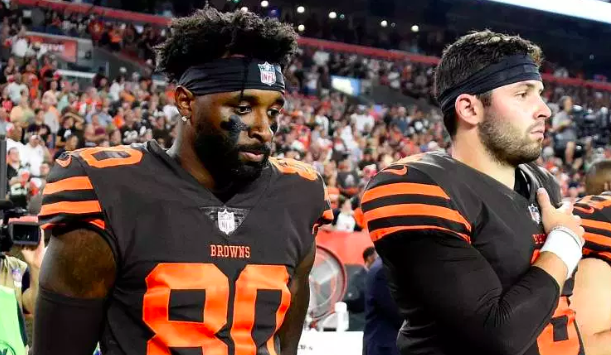 2018 was great, but it still showed many lingering effects from the 1-31 Browns. Hue Jackson, the fearless leader who’d guided Cleveland to a measly one win in two years, was retained for a third season of work before finally being relieved of his duties after a Week 8 loss in Pittsburgh. 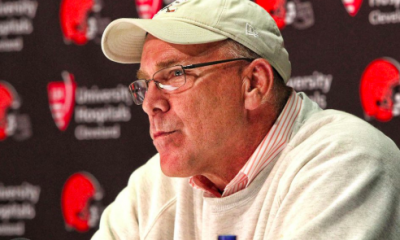 Even after Hue departed, the Browns didn’t have everything figured out last season. Sure, they won five of their last eight and showed the rest of the NFL how “dangerous” they were, but they still hadn’t reached their full potential. Gregg Williams was a great stop-gap solution to finish out the year and Baker and the offense displayed tremendous potential. 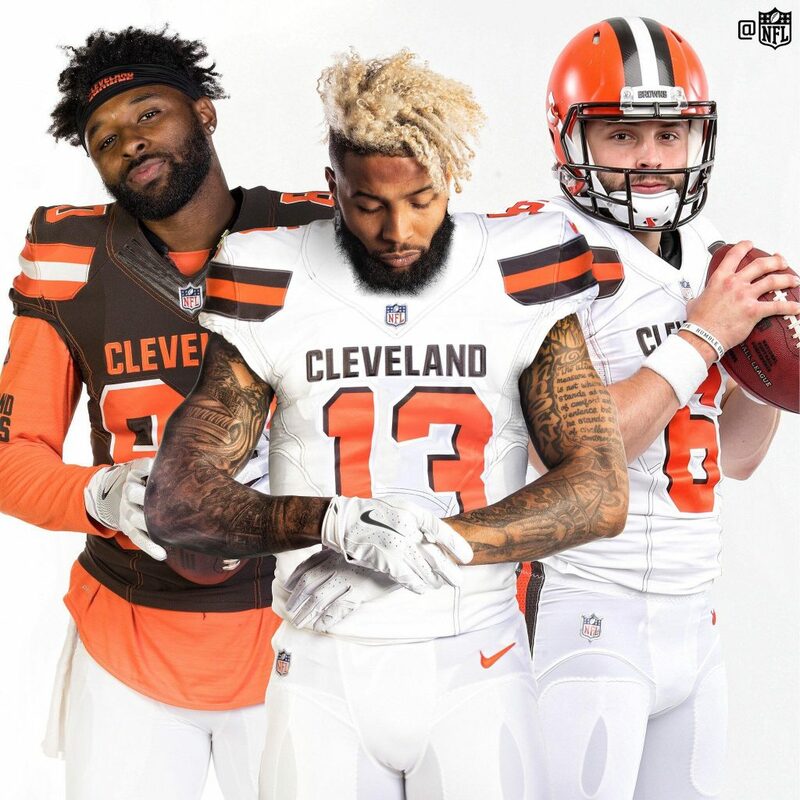 But call me crazy, but that run at the end of the season will one day be considered child’s play compared to what the Browns have lined up for the 2019 campaign. Last year served as a bridge between the complete and utter failure that was the old Browns and the impending possible Browns dynasty we can all feel rising over the horizon. 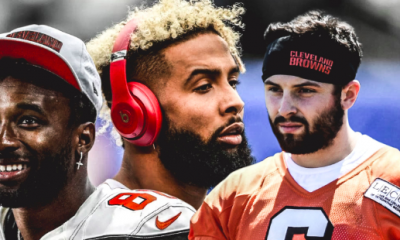 With the additions of Odell Beckham Jr., Sheldon Richardson and others and the promotion of offensive coordinator Freddie Kitchens to head coach, in combination with the return of stars Baker Mayfield, Nick Chubb, Jarvis Landry, Myles Garrett, Demarious Randall and more, the Cleveland Browns are poised to make a deep run in the AFC postseason this year. 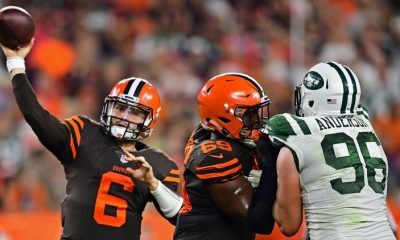 Despite what naysayers in the media may be saying to subdue this Browns hype that’s at an all-time high (*cough cough* Colin Cowherd *cough cough*), early predictions for this season have the Browns anticipated to make the playoffs, with relatively decent odds of winning the Super Bowl. 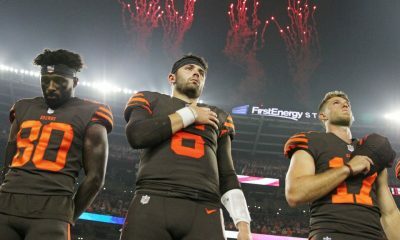 It sounds almost absurd to admit, given the amount of failure our franchise has gone through recently, but for most Browns fans, at the very least, we expect them to land a wild card spot in this year’s playoffs. But more importantly, there is a realistic chance the Browns can run the table in their division for the first time since entering back into the league in 1999 and win the AFC North. Just look at who they’d have to top to pull out the divisional crown and be guaranteed to host at least one playoff game. In order to play a postseason game at home, the Browns would need to be better than the Bengals, Ravens and Steelers. Right off the bat, we can pencil in the Browns ahead of at least one of those three teams. Cincinnati is clearly the worst team in the AFC North. Having finished 6-10 and behind the Browns last season, it’s incredibly unlikely that the Browns, who’ve improved since last year, would end up behind the Bengals in the standings at the end of this year. 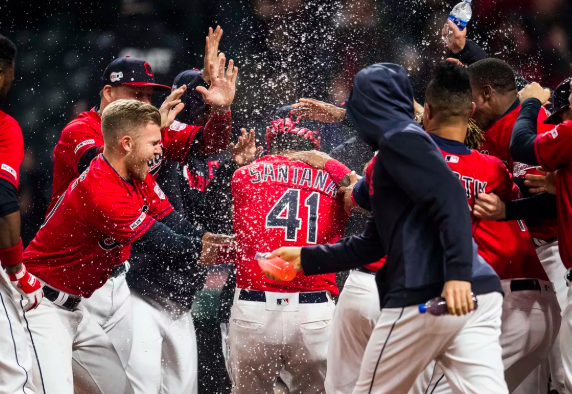 For Cleveland to end up in the cellar of the division, after everything that’s transpired over the last year-plus, something would have had to go very wrong. So let’s just agree that the Browns will be better than the Bengals. That only leaves two teams that the Browns have to beat to be crowned Kings of the North for the first time ever: Baltimore and Pittsburgh. The Ravens are the defending divisional champions, although they barely finished in front of Pittsburgh in the race for first place and were out of the playoffs after only a single game. In most people’s eyes, the Steelers pose a more significant threat to the Browns’ plans to dominate this year, even though Pittsburgh didn’t even make the playoffs in 2018 and lost Le’Veon Bell and Antonio Brown over the offseason. The Steelers are always a problem that needs to be dealt with, but this year, unlike in years past, it appears that the Browns finally have the tools to be able to deal with that problem. Former Brown Joe Haden and the rest of the Steeler defensive backfield promise to have their hands full trying to cover the likes of Beckham, Landry, Callaway, Higgins and Njoku. 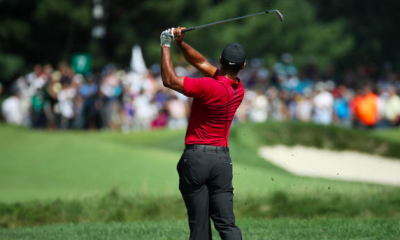 And on the flip side, Steeler quarterback Ben Roethlisberger will have a harder time than ever connecting with targets downfield. Never before has Roethlisberger been forced to thread the needle through a Browns secondary consisting of the likes of Randall, Denzel Ward and newly-acquired Morgan Burnett. Although Big Ben has a startling lifetime record of 23-2-1 against Cleveland, that figure is likely to soon starting swinging back in the other direction. The way I see it, the Browns are worthy foes for all three of their AFC North opponents. They’ll probably beat everyone at least once, and the Bengals twice. I’ll give the Steelers and Ravens each a win over Cleveland, just because they’re the incumbents and the Browns technically haven’t proven much on the field yet. Otherwise though, the foundation is there for the Browns to dominate the division. As for the rest of their schedule, it’s a mixed bag. 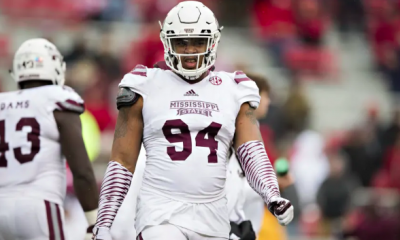 The point of this article wasn’t really to do a season preview, so I won’t be getting into each and every matchup slated for the upcoming season. But on paper, the Browns are expected to play a good amount of teams that won’t be as talented as them, like the Cardinals and Bills. 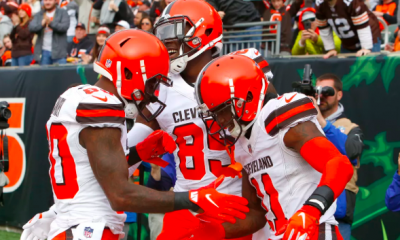 While the Rams, Seahawks and Patriots are sure to give Cleveland a run for their money, no other non-divisional opponent on the Browns’ schedule made the playoffs in 2018. The Browns have a road to success in both the games against AFC North opponents as well as the other teams they play. It is feasible that Cleveland can win the division. In fact, the route to the division title may even be easier than the one to a wild card spot. Last year, the AFC South almost had three teams make the postseason (Tennessee just missed out). This year, with Jacksonville looking to bounce back from a disappointing 2018 following a 2017 run to the AFC Championship Game, all four teams in that division could definitely vie for a playoff spot. Whoever doesn’t win the division will have to fight amongst themselves and with the loser of the AFC West divisional race between the Chiefs and Chargers for a fifth or sixth seed. Basically, what I’m saying is that the wild card slots will be harder to come by and less desirable than the divisional crowns. Just like in baseball, in the NFL, winning your division is almost always preferable. And in 2019, the Browns legitimately have a clear path to pulling that off. If they were to do so, to guarantee a home playoff game, downtown Cleveland would immediately erupt into cheers of “here we go Brownies, here we go!! (woo-woo).” On the day of the game, FirstEnergy Stadium would be completely nuts (I know I’m supposed to be a writer and exhibit an exemplary vocabulary, but “nuts” seems like the best word to use in this situation). The atmosphere would be so intoxicating on game day, and were the Browns to win said game, in front of their home fans who’ve endured more suffering over the years than any fanbase deserves to go through in a thousand-year period, you could call the coroner as soon as the final whistle blew to seal a Browns playoff victory. Because were that to occur, to most Browns fans, it would feel as though they’d died and gone to heaven. So while I don’t like to count my chickens before they hatch and assume that my dream of a Browns home playoff game will become a reality in approximately nine months, it’s really hard to contain myself. Something big is coming, and we can all feel it. This article mainly serves as a reminder of what’s at stake here, what we’ll be fighting for all regular season. Because if the prospect of a Browns home playoff game doesn’t get you extremely pumped up for this upcoming campaign, you may actually be a Steelers fan. And the last group of people that needs to read an article about the playoffs is Steelers fans!